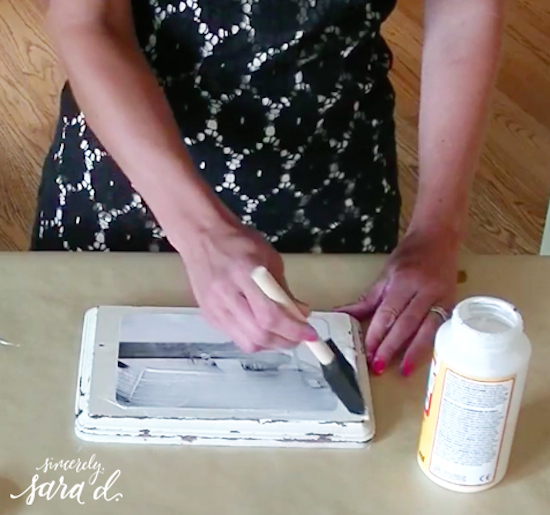 We have another super quick and EASY craft tutorial for you today! 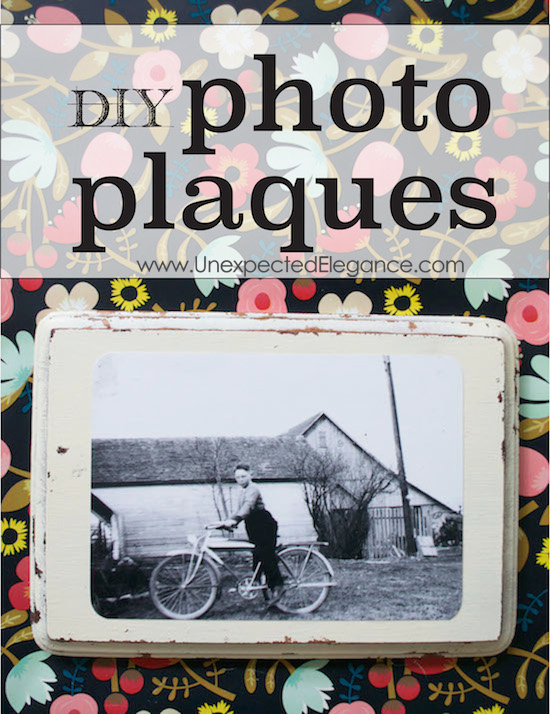 Sara will be showing you how to make photo plaques, using just a few supplies. 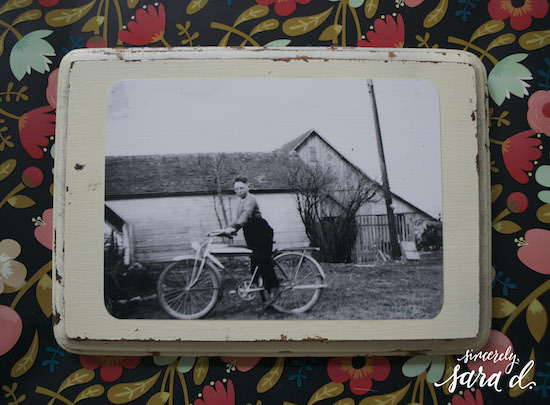 These plaques are great for a large photo wall or would make a great gift. 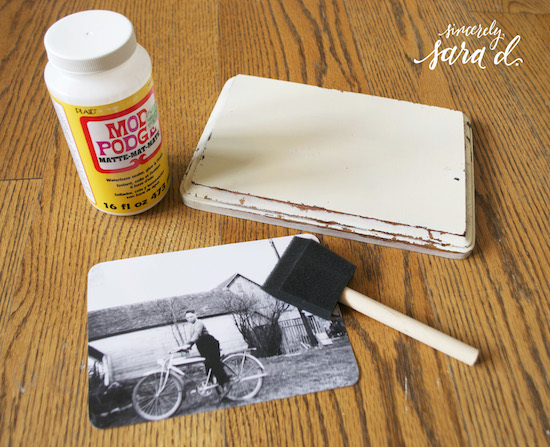 Supplies: wooden plaque, black and white photo, Mod Podge, and paint or foam brush.